We evolve, beyond the person that we were a minute before. Little by little, we advance with each turn. That’s how a drill works! The dreams we left behind will open the door! 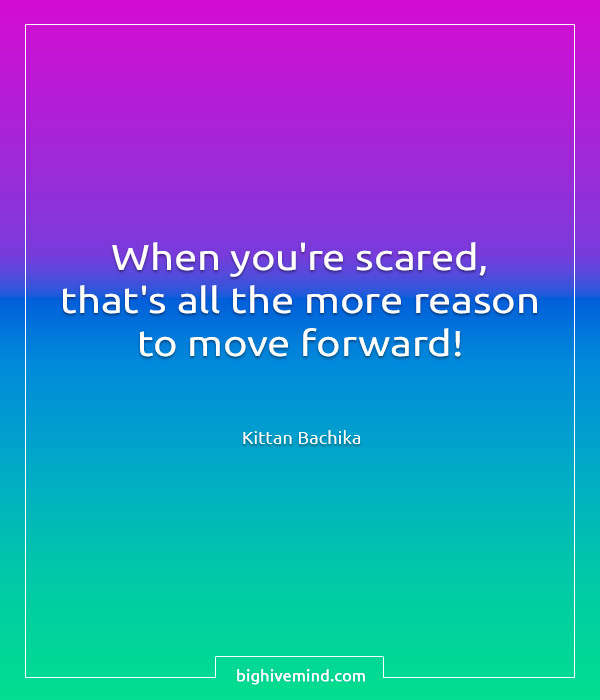 When you’re scared, that’s all the more reason to move forward! I’ll tell you two things: First, any human on the surface will be completely annihilated by our Human Eradication Army. Second, that is my dinner – give it back! If your fat *ss slows us down, I’ll leave you behind, Undergrounder. Do not grieve for me, daughter. I have no reason to listen to anything a human says! 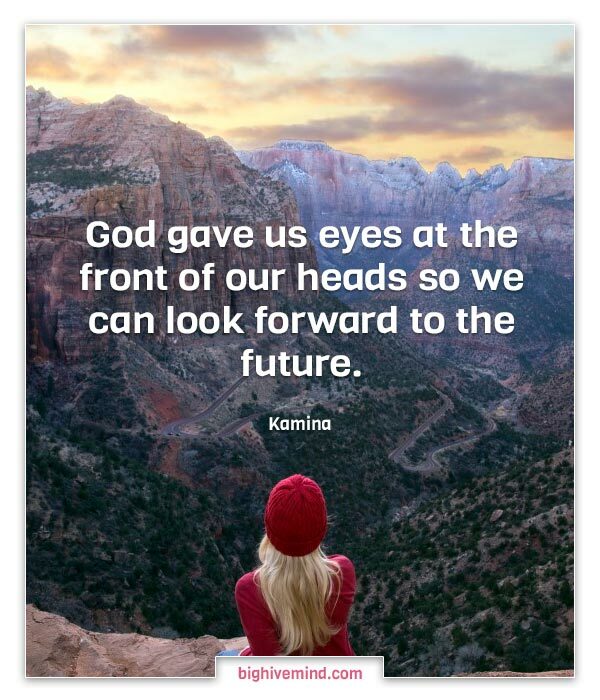 God gave us eyes at the front of our heads so we can look forward to the future. We embark on the winding spiral path! The paths of man and beast intersect! If there’s a wall in our way, then we smash it down! If there isn’t a path then we carve one ourselves! The magma of our souls burns with a mighty flame! Gurren Lagann! Just who in the hell do you think we are!? I didn’t have any confidence. I thought I was living the wrong way. Impatiently. Why couldn’t I go where my father could? Truthfully, I wasn’t strong enough. 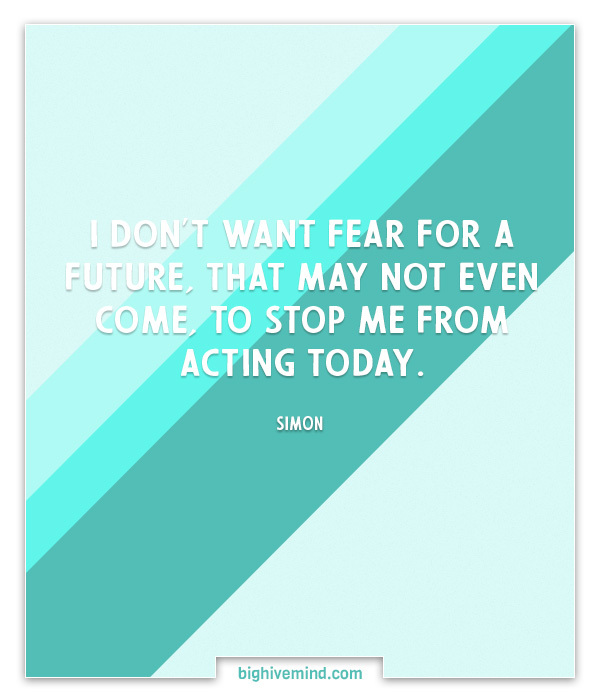 I don’t want fear for a future, that may not even come, to stop me from acting today. If this body can create a tomorrow for all spiral life, I will gladly give it. Your deaths will be for nothing! BEGONE! Show me a guy who ain’t afraid of dyin’! Don’t believe in yourself. Believe in me! 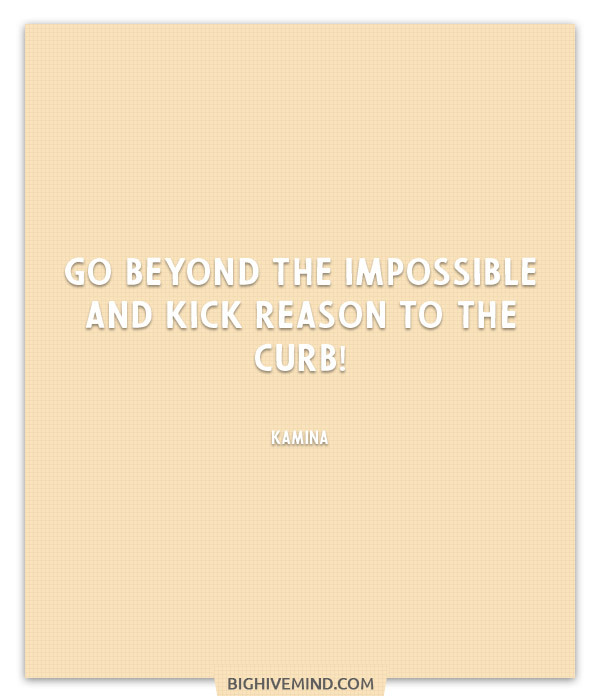 Believe in the Kamina who believes in you! That’s your limitation! You sit here closed off, blocking away other lifeforms like some sort of king! That’s nobody’s limitation but your own! I will believe! I will believe in the me that believes in us, humans and the future! This drill is… my soul! The tomorrow we’re trying to reach is…not a tomorrow you’ve decided on! We… by ourselves… choose our tomorrow from the infinite universes! We will fight through it… we will fight through it and protect the universe! We’ll show you we can do it! I’m Simon…The Great Gurren Brigade’s Leader, Simon the Digger! If you become a wall blocking my way…I’ll drill a hole in you and blow you apart anytime! That is…my drill! Don’t underestimate us. We don’t care about time, or space or… multi-dimensional whatevers! We don’t give a damn about that. Force your way down a path YOU choose to take, and do it all yourself! That’s the way Team Dai-Gurren rolls! We, brawlers, are sustained by willpower even when mocked as reckless and crazy! What foolishness. You would risk the universe for the sake of a fleeting emotion? Never afraid of what the future holds, never regretful of the present. That’s who we are! The Dai-Gurren Brigade! The dreams of those who’ve fallen! The hopes of those who’ll follow! Those two sets of dreams weave together into a double helix! Drilling a path towards tomorrow! And that’s Tengen Toppa! That’s Gurren Lagann! I borrowed one of Gurren Lagann’s drills as a good luck charm! And believe me, I’m gonna put it to good use…! That is the path that leads to extinction. Why can’t you see the pathetic limitation of the Spiral race? All the lights in the sky are stars. Whether impossible or laughable, we continue to walk the path of men! If you become a wall that stands in my way… I’ll tear open a hole and break through you every time! That’s… MY DRILL! Our friend’s hopes and dreams are etched into its body; transforming the infinite darkness into light. Unmatched in heaven and earth. 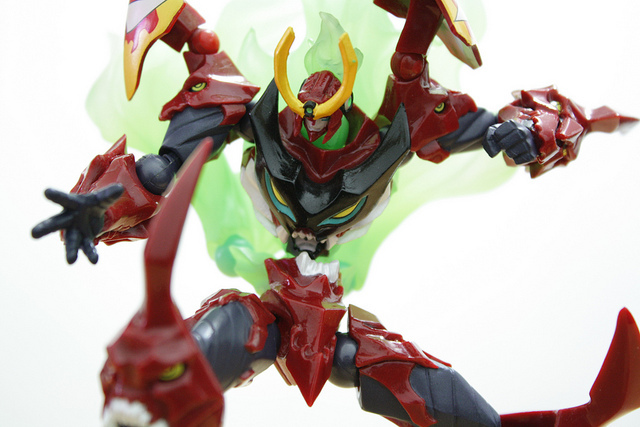 One Machine equal to the Gods; Super Galaxy Gurren Lagann! We’re gonna show you… the power of the human race. Who do you think you are having two faces? You cocky b*st*rd! I’m going to tell you something important now, so you better dig the wax out of those huge ears of yours and listen! The reputation of Team Gurren echoes far and wide. When they talk about its badass leader – the man of indomitable spirit and masculinity – they’re talking about me! The mighty Kamina! I can’t know about somebody who isn’t here. But, you shouldn’t depend on people who aren’t here. If you are doing it, I’m doing it. If I don’t do it, will you? If you don’t do it, I’ll do it. I’m doing it so that you’ll do it too!! I’ve got the best wife in the universe swing!! How’s that, Anti-Spiral? That’s Team Super Galaxy Dai-Gurren’s resolve! I’ll say it as much as I have to! The Human spirit is infinite! When you screw it in, give it a hard manly twist. Let’s see ya grit those teeth! If you’re going to dig, dig to pierce the heavens. Even if it’s my grave I’m digging, I’ll keep going! When I break through, that means I’ve WON! Who the hell do you think I am? I’m Simon. I’m not my bro, Kamina. I’m ME! Simon the Digger! If people’s faith in you is what gives you your power, then I believe in you with every fiber of my being! Impossible! Sentient life-forms can’t possibly escape from a muti-dimensional labyrinth. I can’t miss out on something this interesting, can I? It could be that these two will change something. Do you want to die? If you’re scared, it’s okay to run. However, surprise attacks need more than surprise. It won’t work again. We’re gonna show you… the power of the human race! What’s the matter Simon? You lose your drill? Too bad. Our dead friends…the sorrow of the spiral race…we’ll take in all their regrets. We’ll take it and turn it into power! Don’t be distracted by the what-if’s, should-have’s, and if-only’s. The one thing you choose for yourself – that is the truth of your universe. When I feel weak, or when I lack self-confidence, I remember Simon’s back as he dug tirelessly. I wanted to become a man who’s back would never break. That’s what I thought. A real man never dies, even when he’s killed! When we were trapped in that hole…there was nothing I could do. But Simon just kept on digging. Believing in my show of courage. In the end, he was the one who saved me. Hey, don’t you remember you were the method to my madness? The one who made my big talk more than words? Your drill ought to be totally different from that pebble over there. Your drill is right here (jabs at his chest), you can’t keep wasting time in this place forever. What’s that drill of yours meant to do? When objects revolve at a high speed, even if force is applied, the axis of revolution will always remain in a fixed position. This is one of the laws of the universe. That’s right. The faster you spin, the faster you free yourself from Earth’s gravity, and seek the heavens. My soul once drowned in a sea of despair and weariness, but has reawakened! With thoughts of a man gone in my heart, I knowingly took on this impossible fight. A woman’s got her pride. With a maiden’s prayers and rage, I’ll blast you away along with your cheap trap, so prepare yourself!!!! Boasting like that is just asking for death. Your back is your one big blind spot. You best remember this, fuzzball! Combining is all about one man’s fighting spirit slamming into another!!! Listen up, big guys! I’ll only say this once… Undefeatable, untouchable, with no regrets! Never looking back, never wavering! You can’t win against this man’s will! Gurren Brigade’s Kamina-sama will be your opponent! Believe it!